Pine furniture is an excellent type of furniture if for nothing else then its smell. If you enjoy the smell of fresh cut pine or a walk through the woods, then this is the type of furniture that you will want to pick up and call your own. But, there are some reservations out there about the types of pine that you can and should not use. In addition, there are some considerations for finding a quality product at a price that can be afforded. 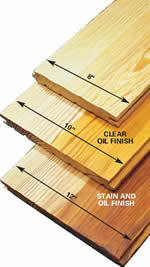 When shopping for pine furniture, take the time to know what you are talking about. First of all, consider the benefits of having pine. Pine is an ideal choice for its look as well as its smell. Unlike other woods, it has its own distinctive look to it. Sometimes, it can be a decorative element in the room all on its own. You will also enjoy the character that it can provide to your room. Whether a bed, a dresser or furniture for your living room, pine can be a good choice for your needs. Solid wood is better than wood veneer, right? But veneer is cheaper, or is it? Or is it the other way around? And what about that new laminate stuff? Questions concerning the differences between solid wood and veneer construction commonly arise whenever the typical consumer begins the search for the right product. In fact, consumers have been asking the same questions for about four thousand years. The ancient Egyptians are credited with the first evidence of veneer construction, which takes thin layers of wood (or other materials, such as ivory or marble) and permanently bonds them to a center core. The purpose of this technique is to create a balanced or uniform surface design. Thin, consecutive layers from one log could be used for a matching or repeating grain pattern - something inconceivable with solid wood. Until the 1930s, veneer was slightly compromised by the adhesives of the time. The glue was simply not good enough to match the endurance of solid wood. But even then, veneer was regarded as more beautiful because of the balance and symmetry it offered. Few people could afford the uniform beauty of veneer before the advances of the industrial revolution greatly reduced production costs. Before the late 19Th Century, slicing such thin pieces of material was a costly, labor intensive process that required skilled hands and the most advanced cutting tools of the age. Despite lower quality of past adhesives, many centuries-old veneer pieces have been preserved in museums and private collections. This is because veneers provide greater dimensional stability than solid wood. The layers of veneer are placed so that the grain is at a 90 degree angle to adjacent layers, which means that when the wood shrinks and swells, it will do so uniformly in all directions. Solid wood is not as capable as withstanding natural shrinking and swelling, which renders it more prone to splitting and cracking. When veneer became more affordable with the advance of technology, it naturally became more popular. Today, nearly eighty percent of wood furniture in every price range uses veneer construction. With the advances in adhesives over the past few decades, veneer construction is stronger than ever. Stronger and more durable even than solid wood. Solid wood construction offers its own brand of unique, natural beauty, though solid wood furniture is not as "solid" as its name implies. It is constructed of narrow planks cut to a desired width and laid side by side. It is simply not cost feasible to carve an entire piece of furniture out of a single piece of wood, even if the tree were of sufficient diameter. So which is better, solid or veneer? Today the answer to that age old question is still not absolute. Veneer can incorporate beautiful symmetric and consistent grain patterns. It can be shaped into graceful curves not possible with solid wood. It is even stronger and more durable. But there is something special, too, about the nostalgic, natural beauty of solid wood. It's really just a matter of taste. To throw a curve into this debate, laminates have recently made enormous strides in popularity thanks to the latest technological innovations. Laminates actually use photographic reproductions of real hardwood surfaces, but the image quality is so high that it can be difficult to distinguish it from authentic wood. This image is bonded to the surface of a wood composite, which is typically a type of particle board. The result is an uncanny resemblance to solid wood. Laminates are highly durable, inexpensive, and low maintenance. While real wood fades under electrical light and can benefit from a refinishing every five to ten years, laminate has a fifteen-year life span against wear and fading. So why isn't laminate the obvious choice? Well, it still carries with it the stigma of being a reproduction of an original, though it is becoming increasingly well received. Particleboard, or particle board, (called (chipboard) in the UK and Australia) is an engineered wood product manufactured from wood particles, such as wood chips, sawmill shavings, or even saw dust, and a synthetic resin or other suitable binder, which is pressed and extruded. Particleboard is a type of fiberboard, a composite material, but it is made up of larger pieces of wood than medium-density fibreboard and hardboard. Look to your personal preference and your budget to help you decide. And who knows, in a few years, there may be even more alternatives to choose from.